More than 25 cruise lines sail the Med in the summer, offering everything from mini-cruises to grand voyages, and visiting every destination imaginable – including some you’ve probably never heard of. Jane Archer explains how to get the best out of a cruise to the Med. The Mediterranean is the most diverse cruise region in the world, offering every type of cruise experience on every size ship imaginable at whatever time of year appeals. You’d like some history and culture, good food and chic shopping? No problem. 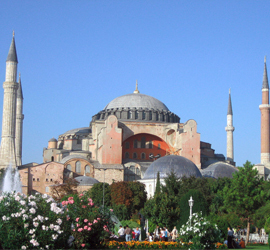 The region has more than its fair share of world-class iconic cities, including Rome, Florence, Venice, Athens and Istanbul. Maybe you’re going with the kids, so sun and sand appeals? That’s no problem either. On several Greek islands cruises you can visit a different beach each day. 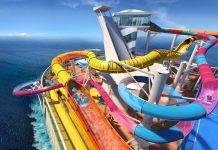 You could cruise on one of the big resort-style ships offered by the likes of Royal Caribbean International or Norwegian Cruise Line. Or you could choose something smaller – an educruise voyage of discovery with Swan Hellenic or Spirit of Adventure, perhaps, where experts give lectures on the history and culture of the places on the itinerary – or something ultra-luxurious – like an all-inclusive journey with six-star Silversea or Crystal Cruises. There are classic cruises with Saga; British cruises with Fred.Olsen Cruise Lines and P&O Cruises; and romantic cruises with Star Clippers or Windstar, where you can cuddle up to the one you love as the wind billows through the canvas. 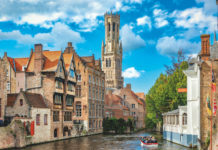 With so much variety, plus the added bonus of cheap and frequent flights from the UK – or rail travel, using Eurostar or the Orient Express to join ships departing from the South of France, Venice or Barcelona if you’re not in a hurry – it’s no wonder the Med is the Brits’ favourite cruise area. 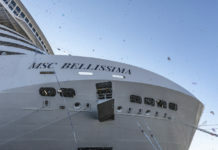 Industry body the Passenger Shipping Association reckons that more than 600,000 of us cruised in the Med in 2010, and that number will rise this year as cruise lines bring more ships to the region. So when is the best time to cruise the Med? A decade ago the decision was made for you. Ships sailed there in the spring, summer and autumn; come winter they followed the sun to the Caribbean. But that changed in the wake of the 9/11 terrorist attacks in New York. Fearing people would not want to fly far from home, Costa Cruises cancelled its Caribbean season, created some Med itineraries, and the rest, as they say, is history. MSC Cruises, Royal Caribbean, NCL, Louis Cruises and (new this winter) P&O Cruises now offer year-round Med cruises, sailing mainly in the Eastern Med, around Turkey and North Africa where the winter weather is more reliable. 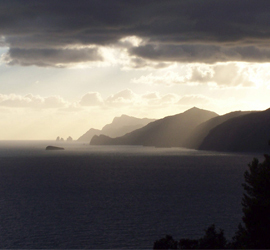 Supporters enthuse about winter cruising in the Med because prices are lower, you don’t have the intense summer heat, and you get to see places such as Pompeii or Rome without hordes of tourists. These are valid points. One day last summer, there were 10 ships were in Barcelona, carrying 20,000-plus people. With four cruise lines basing mega ships there in 2011 (see below), between them holding more than 14,000 passengers, plus Costa, MSC, Princess, Disney Cruise Line and others, all back for the summer season, the place is going to be heaving. But you have to weigh the attraction of tourist-free sights against the chance of cold, rainy weather. Remember the Med is not tropical. The best bet is to go in spring or autumn, when it will be busy, but warm rather than steamy. More than 25 cruise lines sail the Med in the summer, offering everything from mini-cruises to grand voyages, and visiting every destination imaginable – including some you’ve probably never heard of. Typically, big ships visit the ports with world-famous sights; smaller ones visit must-see places but also sneak into unfamiliar bays and harbours, taking you to little-known gems away from the crowds. 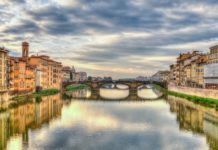 On Princess Cruises’ 12-night Grand Mediterranean voyage between Venice and Barcelona, for instance, you get to tick off some of Europe’s greatest cities including Istanbul, Athens, Naples, Florence and Rome. Educruise brand Voyages to Antiquity, on the other hand, has 14-night round-Sicily cruises looking at Greek and Roman ruins, and voyages to Lebanon and Syria. You can cruise to Libya and Alexandria with Voyages to Antiquity and Swan Hellenic, mooring in drop-dead gorgeous bays along Italy’s Amalfi coast or the French Riviera on the sailing ships operated by Star Clippers or Windstar, or cruise the stunning Dalmatian coast on six-star Seabourn. In Greece, the likes of NCL, Princess, Costa, Royal Caribbean, MSC and Thomson Cruises will take you to the busy islands of Santorini and Mykonos; Star Clippers will go to Atmos and Amorgos; while Windstar calls in at Milos, Pylos and Monemvasia. The heat will be on in Barcelona this summer, as four cruise lines base exciting mega-resort ships at the port. The Passenger Shipping Association reckons that more than 600,000 of us Brits cruised in the Med in 2010, and that number will rise this year as cruise lines bring more ships to the region. There’s NCL’s 4,100-passenger Norwegian Epic and Royal Caribbean’s 3,634-passenger Liberty of the Seas, the former sailing seven-night Western Mediterranean cruises, the latter four, five and seven-night itineraries. 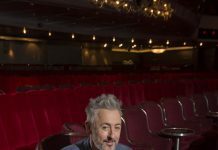 Norwegian Epic has whizzy water slides and the wacky Blue Man Group, while Liberty has a surf park, rock-climbing wall and Saturday Night Fever in the theatre. Carnival Cruise Lines, back in the Med after three years, has seven, nine and 12-night cruises from the Spanish port on the new 3,690-passenger Carnival Magic, boasting the first ropes course at sea, with rope bridges, swinging steps and beams. Celebrity Cruises, meanwhile, is bringing 2,850-passenger Celebrity Solstice, the first ship in the world with a real grass lawn, to Europe for the first time, sailing 12-night cruises from Barcelona to the Greek Islands or Venice. Away from Barcelona, Royal Caribbean has debut seven-night Western Mediterranean cruises from Palma on the 2,446-passenger Grandeur of the Seas, while Princess Cruises is doubling capacity on its 12-night Grand Mediterranean and Greek Isles cruises by moving Star Princess to Europe. 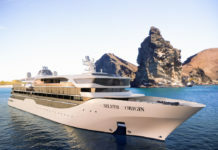 You can cruise established itineraries on new ships – Seabourn’s Seabourn Quest, Oceania Cruises’ Marina, Compagnie du Ponant’s L’Austral, Costa’s Costa Favolosa – or sail the Greek Islands on Windstar’s Wind Surf for the first time in six years. Star Flyer, owned by Star Clippers, has new cruises in the Greek Isles and Turkey, and also in the French and Italian Rivieras. P&O Cruises will have its first-ever Mediterranean flycruises in November and December. These 14-night voyages, between Piraeus, Trieste and Naples, are on the 710-passenger Adonia, which joins P&O in May from Princess Cruises. After more than a decade out of favour due to security fears, Israel is back on the cruising map with a vengeance, as more cruise lines schedule calls to Haifa, Ashdod, or both, from where there are so many amazing places to visit. From Haifa, you can go to Nazareth and Galilee to see the places where Jesus is said to have worked, and visit the Crusader city of Acre. 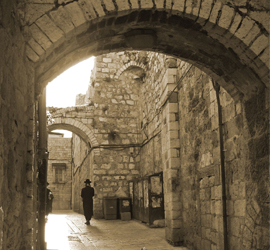 There are trips to the Roman remains at Caesarea, and to mystical Safed. From Ashdod, you can have a day in Jerusalem, visit Bethlehem, ride a cable car to Herod’s hilltop fortress of Masada and float in the Dead Sea, 13,000 feet below sea level. Celebrity Cruises’ new Celebrity Silhouette, launching this July, and Royal Caribbean’s Mariner of the Sea will be based in Civitavecchia (Rome) this summer. They will sail new 12 and 13-night cruises that visit both Israeli ports. Windstar has two new cruises from Piraeus (Athens) to Ashdod, and vice-versa in October. NCL is visiting Haifa and Ashdod on new 11-night winter cruises on Norwegian Jade from Civitavecchia. 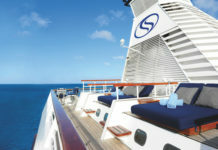 Azamara Club Cruises, the “stay-longer” premium brand, has overnight stays in Ashdod. Princess has a two-day overland experience on its 12-night Holy Land cruises, where you can have a day and night in Jerusalem, then tour the Galilee region for a day. For 2011, Costa has almost weekly visits to Ashdod.